Ever wondered how authors do their research? I certainly do. Today I have the privilege to invite Peter Jobes, the author of The Volga Ruby, a book set in the Romanov era in St. Petersburg. Do read the post if you are interested to know how he did the research without ever visiting the place. Also to find out how Mark Twains ‘Write what you know’ does not hold true in this case. There is an old adage, often attributed to Mark Twain, that says you should write about what you know. I must say, it seemed to work for Mark. It also seemed to work with Fitzgerald writing about the Jazz Age, Hemingway writing about the Spanish Civil War, Ian Fleming writing about spies, etc; the list of authors to have written about what they know is long and distinguished. It’s all well and good to write about what you know when you’re a spy, or living life large in the Jazz age, or on the front lines in a conflict, but what about when you’re just living an average daily life in a singularly bland town? What about the rest of us who never get to do those amazing things that people want to read about? Well, for the rest of us there is but one option: Research. Before I explain how I did my research for The Volga Ruby I should perhaps at first tell you how I think I should have done the research. As the book is set in Russia I should naturally have flown out there to familiarise myself with St. Petersburg and do in-situ research into the locality. Lots of the buildings from the era my book is set in are still standing and I could have soaked in plenty of period architecture. I should have visited the British Embassy and discussed how it was managed and what procedures were followed in 1907. I would have spoken to old people who may remember hearing first hand from parents or grandparents what life was like in the Romanov era. I should have buried myself in books in the great libraries and absorbed as much information on the subject matter as possible before I even started to type. Needless to say, that is not exactly how things went. Given the fact that I was limited both in time and in finances to dedicate to research I had to take the other option and use the internet. It’s quite amazing the volume of information that is available to you if you’re willing to search for it. The most valuable tools for location research were Google maps and Google earth. While there is no way to get the atmosphere of a place merely through looking at it on a screen these tools do have valuable uses. You can familiarise yourself with the layout of a city and use it to look into routes but more importantly it is hyperlinked so you can view plenty of photos and read about areas all across the city until they weave together to form a good overview of the places you want to write about. Historical facts and details were also often researched online but there is one vital thing to remember when researching anything on the internet – check your sources. It’s all well and good that wikipedia tells you something but it can’t be classed as a reliable source unless you can cross reference that with another more trusted source. Luckily even if a point is not referenced on the site you read it, you can often find by a detailed search other sites that can be used for verification. I found that, even if something was not covered in adequate detail online, it’s far easier to research from books when you have a focussed idea on exactly the facts you need to study. When not using the computer I used a number of books, from travel guides to history books. It was not until after I had written my first draft that I read Robert K. Massie’s exceptional joint biography, titled Nicholas and Alexandra, but reading it made me feel I had a better grasp on behavioural traits of the Romanov characters and I did go back to edit certain areas in the hope of making them truer to the real thing. In the end I think that the most important thing when writing is not knowledge but passion; while it is an advantage to know your subject first hand, knowledge can be learned, facts can be checked and research can be done. The more effort you put into that the better the results will be but passion for a subject is something that can not be faked, if you do not feel passionately about your plot, your stories, and your characters, then it will be very hard for a reader to feel passionate about them. I think, therefore, a better adage than Twain’s would be to “write about what you love“. Thank you so much Peter for the guest post. Let me know your thoughts on this. Do you agree with him? Also, I’ll hopefully be able to review this book next month. So be on a lookout for that. Today I welcome author Kim Hanks to my blog. He has an interesting post about what happens when he is invited to book clubs and conferences. Since the publication of save the best for last, I did not expected being invited to a number of local book clubs and authors conferences. It is contrary to the nature of a common man to join a book club or any literary conference [why me, I didn’t have the answer, either] so I receive several calls, emails requesting these genial discussions on convenient evenings. There is always a kind of cheerful interaction, which helps us do away with the social discomfort that I sometimes enjoy seeing people laughing together, tossing drinks though it’s their first meeting. I like suits and I always wear them, were necessary. The host invites me in and I sit down in a comfortable in an armed chair and smile. As we introduce ourselves, I tend to listen carefully, to their lyrical voices. To my surprise, people in these conferences [men and women] always seem to be attractive and intelligent; unfortunately they’re all unpublished authors who think of writing better books than the new York bestsellers. Anyway, its good to have that spirit And, of course, when it’s my turn to start reading [my book] so many questions interrupts the reading as they want me to explain every twist and turn in the certain paragraph. At the end of the meeting, some people contact me privately, asking. How can I create a character with finger to the size of a sausage without seeing my neighbor having one? Not only I start answering the question, but I also battle blocking my laughter’s, and I’m always frank cautioning them that if you don’t fear to be sued, then go ahead and write about someone without his/her consent. It is best to admit, the first meeting of the local author’s conference has been fan to me and I just can wait to meet these amazing people in the next meeting. Thanks Kim for gracing my blog today. I am pleased to welcome Mark LaFlamme to my blog today. 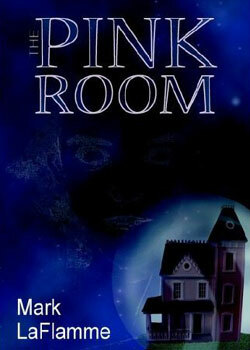 His first book ‘The Pink Room’ is about a world’s leading physicist who attempts to use the science of string theory to bring his daughter back from the dead. 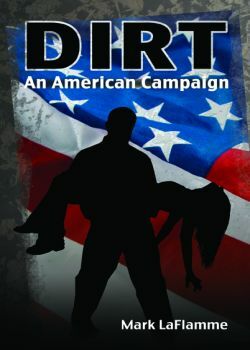 His second book ‘DIRT’ is a political thriller. Sounds interesting to me. If you like thrillers you’ll surely be tempted by this. A grieving man disappears with the body of his dead bride and a mad race is on to find him before he can destroy his father’s campaign for the White House. An exploration of the dark side of politics, “Dirt: An American Campaign” delivers a plot teetering on the cliff-edge of madness as one candidate tries to bury his own scandals while exposing the dirt of others. Long before the first novel was written, years before I knew a thing about agent queries and first serial rights, I imagined myself on a book tour. I’d wear sunglasses, I decided, even at night. It lends an air of rock star mystique, you know, while you’re signing copies at a bookstore in Butte, Montana or Camel Hump, Iowa. I’d invite fans of my book back to the hotel tavern and we’d roar with boisterous, literary glee into morning. I’d have a curvy lady accompany me from airport to airport, city to city to take care of things like appointments and scheduling. I’d call her Mimi even if that was not her name. I’d be Jim Morrison with a book in my hands instead of a microphone, a mythical character weaving his way across the book universe, playing to big crowds, building a reputation for genius and sordidness. You cannot fault a novelist for having lofty dreams, my friend. We spend most of our hours alone with only make believe characters for company. We move through spells of supreme optimism and abysmal gloom that would drive others to medication. We bleed in ink. I’m on tour for real now, but there are no sunglasses. Mimi has not so much as dropped me an e-mail. I do it all right here at my desk, answering questions from hosts and pounding out an occasional rant like this one. There are no bar parties and I don’t even need to get dressed to go about the work at hand. It’s a long way from those bygone visions, but I’m not lamenting the fact. It I were in Eye Socket, Ohio or Bee Sting, New Mexico, I might reach a few dozen people with that stop at the local bookstore. Here on the nebulous Web, I might reach millions and I don’t have to wear shoes. The Internet has changed the fundamentals of book marketing. The virtual book tour has replaced the grind of airports and motels, bookstores and cafes. I consider this both good and bad. Bad in that it removes some of the interaction a writer might have with real world people, whose hands can be shaken and voices heard. Good in that an author can achieve twice the attention in a tenth of the time. Time is a friend to the writer. Time is where we are allowed to write. I’ll miss you, Joe and Judy, Frank and Freda, because I won’t likely be appearing at a bookstore near you. But I’m here, on this site, and I’m glad to make your acquaintance. Though we won’t hang out together at the hotel bar or dive obnoxiously into the pool at midnight, I’m happy to be here. Drop me an e-mail if you want to and let’s get to know each other. Just throw on some sunglasses, new friend. Because the future looks bright. Do visit Mark LaFlamme’s website here. It’s an interesting site. This guest post is part of the Pump Up Your Book Promotion/ tour.